Normally, I'd probably just write about relevant transportation-related referenda, but there are others that are equally interesting. Of course, one of the problems with citizen-, often very-rich-people- with-axes-to-grind- or labor-union- initiated referendums is that they are poorly written and are designed to foster crony capitalism or other special interests. That's an issue with some of the referenda this year, and has been say with the Brexit referendum in the UK in 2016 and even DC's Initiative 77 for tipped wage employees, which passed but was overturned by the City Council. There are more than 100 local measures on the ballot across the country, and a handful of statewide questions. I really hate how gasoline excise tax raises are used by Republicans to "get out the base" through the creation of repeal referenda ("California gas tax repeal set for fall ballot and GOP could benefit," CNBC). One such effort is to overturn the recently raised gas tax increase in California, which is paying for a slew of needed transportation infrastructure projects. 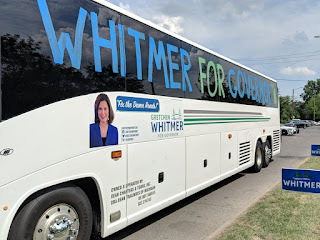 Whitmer for Governor is a lot more prominent on the bus than "Fix the Damn Roads." Twitter photo by Jonathan Oosting. One of the campaign slogans for the Democratic candidate for Governor in Michigan, Gretchen Whitmer, is "Fix Dathemn Roads." But the state's measure on the ballot is indirect, to tax marijuana and direct the revenues to transportation projects. Speaking of "Fix Our Damn Roads" that's the name of an initiative in Colorado (Proposition 109). It doesn't call for more taxes, just requires a certain amount of annual spending on road projects, which would divert funds from other priorities. A competing measure, Proposition 110, calls for increasing sales taxes and funding not just road improvements, but multimodal projects too. Connecticut has a referendum requiring that transportation taxes only fund transportation and Florida has a multi-topic constitutional amendment on the ballot which among other things, would eliminate a "requirement" to do high speed rail. Maine and Missouri have transportation tax measures too. Utah a non-binding question. Rent control is a controversial matter. Market oriented people argue that the restriction on rents/profits reduces spending on maintenance and decreases new production of housing. 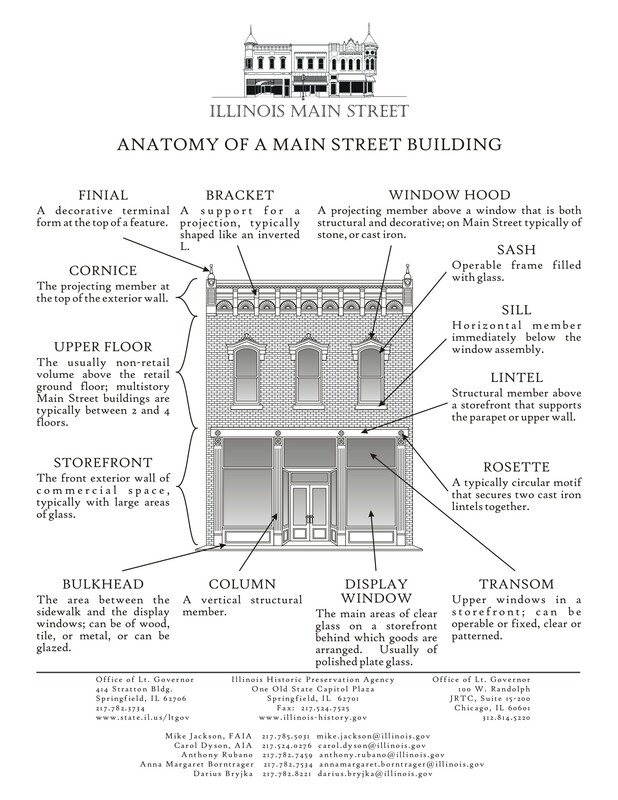 On the other hand, since zoning typically restricts the ability to build housing or have more tenants, this increases the value of property and prevailing rents, likely increasing profits compared to a scenario where new building is unfettered. Fair regulation is a problem sure. But it's not unreasonable to limit rents. Proposition 10 doesn't impose rent control but passage would remove state restrictions on local governments from enacting it. A business tax to support homeless services/San Francisco. Earlier in the year Seattle attempted to impose a head tax on businesses there, with the intent to use the funds towards homeless services ("Seattle council votes to repeal tax to help homeless amid opposition," Washington Post). I do think that cities need revenue streams beyond property taxes ("The real lesson from Flint Michigan is about municipal finance," 2016). But the problem is that such taxes are best imposed at the metropolitan scale, because if it's a one-city/county thing, it's easy for other cities in the region to not have such a tax and to use that fact as a recruitment technique. This is a problem faced by Philadelphia, which has a wage tax and the outlying counties, which don't. Similar to the since repealed tax in Seaettle, San Francisco's Measure C would collect $300 million from a tax on corporations with sales greater than $50 million/year and direct the money to homeless services. Salesforce's CEO Marc Benioff is a big proponent. Most of the other companies disagree ("Inside the battle over San Francisco's homeless tax," CNN). Already happened last year in Maine and the Governor still refused to do it. It's on the ballot in Idaho (Proposition 2), Utah, and Nebraska, all states that are decidedly Republican. The outgoing Republican governor in Idaho supports the program. In Idaho it hasn't been seen as a partisan issue. Unions unsuccessful in getting workers unions in place at dialysis centers in California (Proposition 8, "Dialysis Clinics Fight California Ballot Measure to Cap Revenue," Bloomberg Businessweek) and nurses wanting more nurses to be scheduled at hospitals in Massachusetts (Question 1, "State's health care watchdog sides with hospitals on nurse ballot cost," Boston Business Journal) have measures on the ballot. I am on the board of DC's public market, which is managed via legislation which among other provisions mandates all vendors present when the bill was passed in 1997 lifetime tenancy. I can't imagine running a supermarket via legislation and regulations. I feel similarly about these bills. You could call this a transportation measure too, but it is cross-cutting. Washington State's Initiative 1631, the Washington Carbon Emissions Fee and Revenue Allocation Initiative, aims to create a Carbon Tax to capture more of the spillover costs of energy use that aren't captured by the current system of pricing and taxing. Oil interests aren't in favor ("A Big Oil gusher -- Initiative 1631 foes spend $10.8 million in two weeks," SeattlePI). In Arizona Proposition 127 would increase requirements for renewable energy generation as part of the power generation mix in the state, from 15% in 2025 to 50% by 2030. Amendment 1 in Georgia would create the "Georgia Outdoor Stewardship Trust Fund" which would fund land acquisition for open space and recreation. Propositions in Colorado would put restrictions on oil drilling and pay polluters not to pollute. Measure 103 in Oregon would eliminate taxes on food, including restaurant and takeout meals. A local proposition in Los Angeles County, Measure W, "would fund projects that capture rain and runoff, and clean and reuse it to increase safe drinking water supplies." In most places such water is discharged but not used for subsequent human consumption. article from the Observer about how tech companies are especially good at evading taxes.